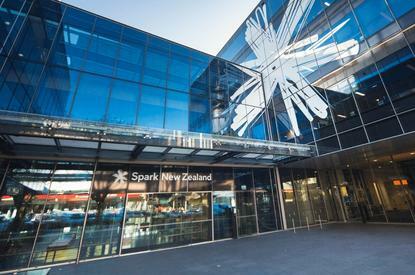 Spark will pay the most towards the Telecommunications Development Levy, nearly $18 million. The Commerce Commission has released its decision on how much 16 telecommunications providers will pay towards the Government’s $50 million Telecommunications Development Levy (TDL). The annual levy pays for telecommunications infrastructure and services that are not commercially viable, including the telephone relay service for the deaf, hearing and speech-impaired, broadband for rural areas, improvements to the 111 emergency service, and providing coverage in mobile blackspots. Some adjustment have been made to the Commission’s draft decision released in October. Compass’ contribution has increased after it provided further information on its revenue. The remaining 15 providers have seen their allocations marginally reduce as a result. How the 2016/2017 TDL breaks down. The big four - Spark, Vodafone, Chorus and 2degrees Mobile - will pay more than 90 per cent of the levy for 2016/2017. 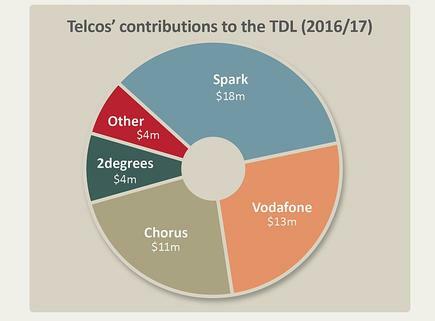 Spark will pay $17.7 million, Vodafone $13.2m, Chorus $11.3m, 2degrees $4.2m, and Vocus $1.6m. A full table of payments is available here, on page 7. The TDL was established in June 2011 and is set at $50 million until 2019. It equates to about 1 per cent of telecommunications services revenue earned by service providers earning more than $10 million a year from network services.